Feeling golden? I’ve got you covered with my brand new gold-filled chains. 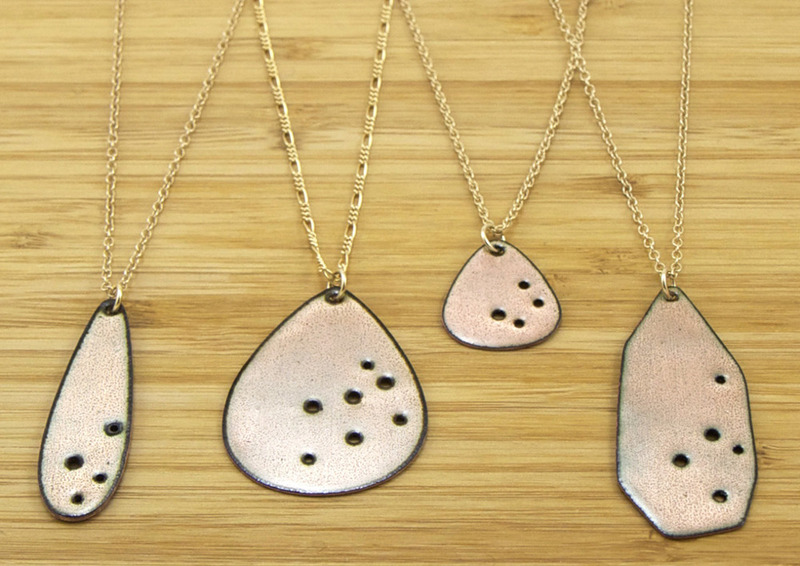 These chains add a warm glow to my necklaces and look great with the shimmery kiln-fired clear coat enamel over copper pendants. Gold-filled chains have a solid layer of gold that has been bonded with heat and pressure to brass at the core of the chain. Gold-filled jewelry doesn’t tarnish as easily as sterling silver jewelry and won’t peel like gold-plated jewelry often does since the layer of gold is much thicker than gold-plated jewelry. You can see more photos of these necklaces on my etsy shop.